Roll of Honour :: Great War Dundee - This is the story of the 30,490 men that left Dundee to fight in the First World War and of the people left at home. 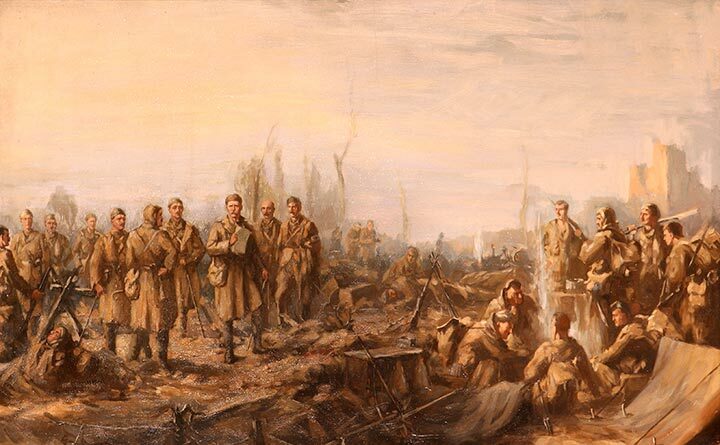 After Neuve Chapelle (10 March 1915) by Joseph Gray, 1915. Dundee Roll of Honour with handwritten additions. Dundee paid a high price for her war efforts. By the armistice, over 4,000 men had made the ultimate sacrifice. Their names are recorded in the city’s Roll of Honour, a simple alphabetical list of names, ranks and regiments. Over the years mistakes and omissions have been discovered by families viewing the list resulting in handwritten corrections to the record. One of Great War Dundee’s main objectives is to produce an inclusive, fully searchable online roll of Dundonians who contributed to the war effort and in doing so honour the men who lost their lives in the First World War and those who survived. We would also like to include information about people who experienced the war on the Home Front. Where possible, each entry will include a photograph and biographical information collected from various contemporary sources. 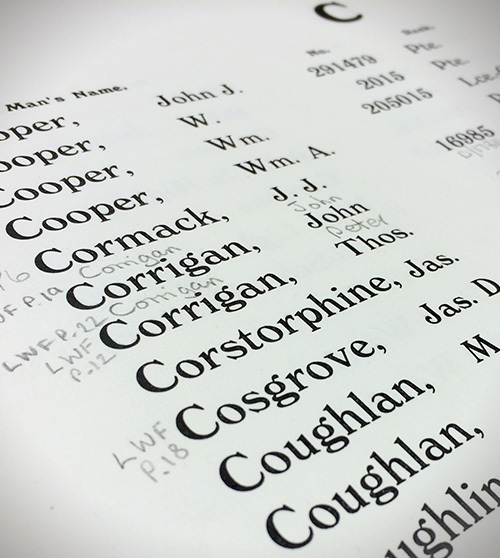 The new Roll of Honour will be an invaluable resource for local historians, genealogists, and schools. This is an ambitious project but with the help of local families, historians and volunteers we hope to create a lasting and fitting tribute to those of the city who contributed to Dundee’s efforts during the Great War, 1914-1919. If you would like to volunteer to help with the project please contact the Great War Dundee curator.